If each of us is being honest, and sensitive, I think we react to art in many ways much the same as we react to personalities. Some people we like, some people we don't. We might have friends we just met and hardly know but who are friends all the same, and people in our lives who remain strangers despite years of acquaintance. Some people we're attracted to, most we're not. Why? The standard shorthand answer is "chemistry." Good enough—'twill serve. I know I react that way to sounds—voices and instruments. There are singers' voices I just love (Bob Marley, John Lennon) and others I can't stand (Whitney Houston, for me—nothing against Whitney personally, but I would almost rather be water-boarded than have to listen to "I Will Always Love You" three times. And I fear drowning). Probably each of us is the same way, albeit always with different people and voices and instruments. If you like pop music, try to think of three singers whose voices just reliably send you (sorry, a little Sam Cooke sublimination there) and three you hate regardless of how "good" you know they are. The instrument I most reliably love is the piano. Don't know why, just do...it's that "personality" thing I guess. 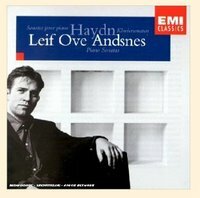 Leif Ove Andsnes is my favorite pianist these days (try this for some samplings. Also downloadable on iTunes). You should hear the guy play Haydn—like a house afire—and talk about "flow like oil" (Mozart's instructions as to how his piano music should be played)—Andsnes playing Mozart sounds like it comes directly from God, I swear. So here's a question. I'm going to try not to load this up with value judgments, try not to make it a challenge or a goad. But are there three photographers whose work meshes with your personality in that way I'm talking about? And three whose work you just can't stand, maybe even for no good reason? Just something to think about. In fact, I think I'll put on some Andsnes and go think about it myself—I'll get back to you. Well, I love Roger Waters voice, which is not really good (or Carlos Gardel's, for that matter). I'd kill the thousand of little extra sweet but not really cool voices that try to change everything good there is in this musical world to Bossa Nova these days. Same as Whitney. Aseptic voices, I'd say. But I don't know that much about photographers. Well, I hate Salgado (oh my, you really look like s**t, come here, you'll make a great photo subject!). My friend Jim always used to kid me by saying "That Elliott Erwitt--he sure knows how to set up a picture!" That always made me mad. On the mesh/always rewarded by a visit side I've got Edward Weston, Doris Ullman, Eugene Smith,Janis Joplin,James Talley, and Elvis Presley. I will take the opportunity to add to those visual and auditory favories the writers Wendell Berry, John McPhee, and the greatest , most accomplished, unintended ( by man) collaboration/collection of all time--the Bible. On the other side of the fence I've never been able to care for/get Gary Winnograd, Richard Avedon, Minor White, anybodies voice while they are singing opera,Sting,or R.L. Burnside. And on one last note I am constantly amazed by the GREAT photography on so many many photoblogs.It makes me very secure in believing that photography has wonderful things ahead for it. I hate all the photographers that are featured in the "artsy' B&W mags. You know the ones. The critics all praise them and their crummy inkjets sell for $1500 a pop. Favorites are Bruce Barnbaum, Howard Schatz and Nick Brandt. Few could sing like Janis Joplin. For me, nothing compares with cello. Piano is second on my list. A piano and cello duet is about as good as it gets. If I could pick one photographer/writer, it would be Barry Thornton. His work is what taught me to be serious about B&W. I finally broke down and registered so I can say thank you for Leif Ove Andsnes. WOW! Some of Avedon's work depresses the heck out of me... Still thinking about #2 & #3. Joel Peter Witkin's photos don't creep me out as much as the fact that he just tries too hard to creep me out. Tom Wolfe once said that every man over 30 should never take his shirt off- something someone (anyone) should tell John Coplans. And gosh, aren't the last 500 Cindy Sherman self portraits so much better than the first 500? Personal Mesh: Walker Evans, John Shaw, Karsh. Don't get/can't stand: Mary Ellen Mark, Irving Penn, and Diane Arbus' photos makes me want to head to a liquor store. Your comments on music reminded me of something that occurred to me recently - sometimes, when admiring a photograph, I think of it as frozen music. There's a famous quote by Goethe about architecture being frozen music, so why shouldn't photography qualify as well? Photographers I don't understand: Sally Mann (bless her heart), Lee Friedlander and any contemporary photographer that believes that 8 x 10 is measured in feet, not inches. What about Moriyama, Robert Adams, and Lee Friedlander as favourites? (Witkin as no-no.) Anner Bylsma's cello as voice, as well as Cecilia Bartoli's actual voice. And while we're talking about voices, what about Elmore Leonard's writing? Atget - always Atget; Walker Evans, Sugimoto (and maybe Sally Mann). Work that's like finger nails on a chalkboard...? I drive my wife nuts playing my Kate and Anna McGarrigle records and CDs. Kate Bush is right up there. Chellos and string quartets and a warm Remy do it for me as well. Then again, I prefer landscape photography. If a photograph disturbs me or I don’t like it, I don’t take the time to learn the artist’s name. I was stuck on a drive home from San Diego one time with a wife of a friend of mine who could and did sing harmonics with “I will always love you” during the trip. It equates to the time I got stuck for an hour on the “It’s a small world after all” ride at Disneyland. I have too many favorite photographers, but when it comes to a personal "mesh", I think of Duane Michals' sequences, Bill Brandt's nudes, and William Eggleston's Guide. Although I try to find some value in things I dislike, I can't stand Anne Geddes type stuff. And Celine Dion. One photographer whose work clicked instantly with me, and who I feel a greater connection with than almost any other, is Garry Winogrand. I won't list any dislikes, but two photographers whose work I *do* love, but I sometimes feel I don't love quite enough given the reverence that other people feel for them, are Cartier-Bresson and William Eggleston. Hmmm. I could say more but since the limit is three - but I'll give my reasons. Gordon Parks - I love how he framed with colors and tones, and his attitude toward life showed came through in his images. Joel Myerowitz - After seeing the gorgeous images in Aftermath, you have to remind yourself that this was a TRAGEDY. Alfred Eisenstadt - a better people shooter than HCB: “It's more important to click with people than to click the shutter." William Eggleston - To me his pictures look like a junior high photo project. Don't get it, never will. Terry Richardson - crap for the sake of crap and doesn't evoke emotion one out of me. Marc Seliger - takes a template and keeps plugging celebrities into it as if it is something new. A top three photographers whith whom I resonate is such a tough choice that I think it's somewhat arbitrary - there is too much great work, at least in back and white. I'm going to cheat and do a color list and a black and white list. I'd probably have a different list tomorrow. Oddly, though I shoot and print in color there aren't that many color photographer I like. Fingernails on the blackboard work is for me more a genre thing than a matter of individuals I can't stand because I always have trouble remembering the names of the people who I don't like. There are some genres that leave me mostly indifferent (e.g., most color landscape work) rather than actively irritating me. So here are the irritants. People who edit a jumble of images (usually color) onto pages bled to the edge - feels as though they are saying that none of their images is particularly worthy of respect. People who shoot concepts (typically in a lifeless snapshot style) rather than pictures. Examplified by Nikki Lee's snapshots of herself blending into different cultures. Color photographers with whole bodies of work in dispirited murky tonalities. Color photography has the capability to be WAY more depressing than black and white if you really get into this kind of color tonality. Does John Baldessari count as a photographer? His work teaches me as much about photography as any. Photographers I don't like? There are so many of them and they aren't worth the bother, but I can't stand those big color Cindy Sherman photos. And that loonie woman who dresses babies like vegetables. A tough one for sure, so I'll have to put on Andsnes too, while thinking about it. (Yes he is brilliant, not hiding the fact that he's a fellow Norwegian and that I've seen him live twice this year allready. His range is impressive and he can play almost anything, but I'm still waiting for some Bach). Glenn Gould is still my numero uno piano man. I find his recorded performances very revealing and emotional. I share his philosophy that performing live takes away much of the best in music and musicianship. I turned away from music (to photography) myself because I couldn't stand performing live! There is still a soundtrack for every photo I make though. Music is in my head 24-7. As for finding love/hate photographers I'm not sure it is possible. I don't keep a list and I know from experience that my views change over time. All I can say is that I love photographers that has something to say, rather than showcasing how expensive a camera or how long a lens they own. And as for hating: HDR and oversaturated photographs as they flood my field of vision these days. There's probably 20 others that if you asked in a week or a month, might substitute for the above.